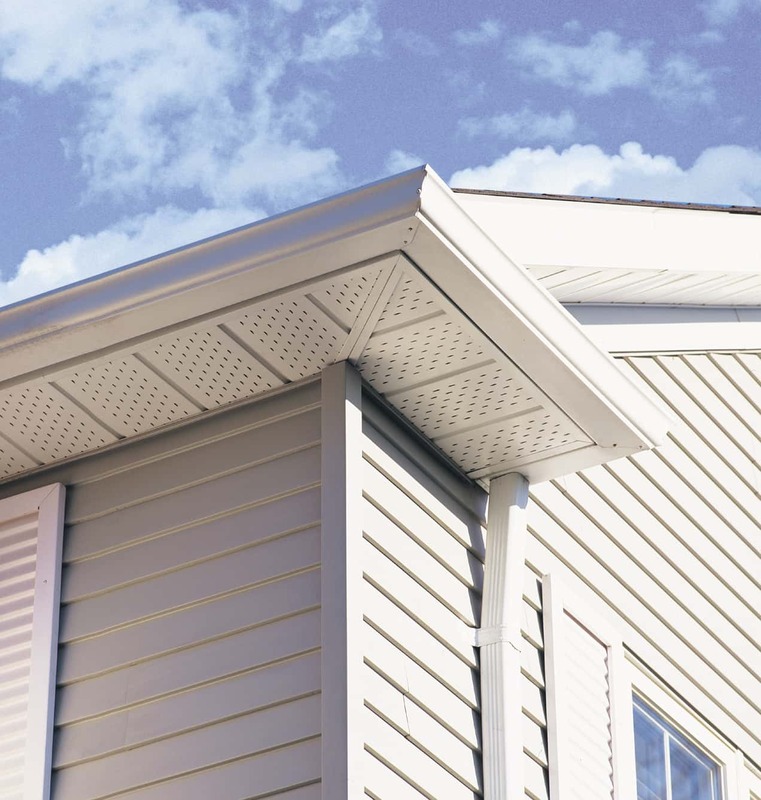 Soffit and Fascia Ottawa | FineLines Roofing & Renovations Ltd. When completing roof installations and repairs, FineLines Roofing & Renovations in Ottawa takes care to ensure each element is securely installed so it does the job it was meant to do. Roofs and attics are not easily accessible so it is paramount that while we are up there we check each component. Soffits are located on the bottom side of the eaves. The soffit is usually vented so air can pass freely to regulate the temperature in the attic. Common materials for soffits include aluminum and wood. There are also other eco-friendly options made from recycled materials. Fascia is usually installed at the edge of a roof’s rafters just behind the gutters. The fascia acts as a barrier to prevent birds, rodents and insects from entering your home through the attic. Common materials for fascia include vinyl, aluminum, wood and composites made from recycled plastic, wood chips and resin.